Nguyen Thi Hanh is a lecturer of Faculty of Business Administration, Foreign Trade University, Vietnam. She was one of the thirty six lecturers in Vietnam who certified in Training of Trainers 2 (ToT2) by IPP2 Project (http://ipp.vn/en/what-we-do/). She research is situated in the field of Innovation & Entrepreneurship, with a special focus on Startup financing, Capital structure of Startups and Innovation in some industries such as fintech, agritech and biotechnology. Hanh teachs several courses on innovation and entrepreneurship to business students. She teachs the course “Innovation Management” and “New Venture Management” at FTU. Hanh also was mentor and coach of Startup Teams in Kawai Business Startup Contes and Vietnam Social Innovation Challenge in 2017, 2018 respectively. Within KisStartup, Hanh is responsible for Research Executive (https://www.kisstartup.com/vi/tin-tuc/doi-ngu-nghien-cuu), conducted research as collaboration with enterprise. 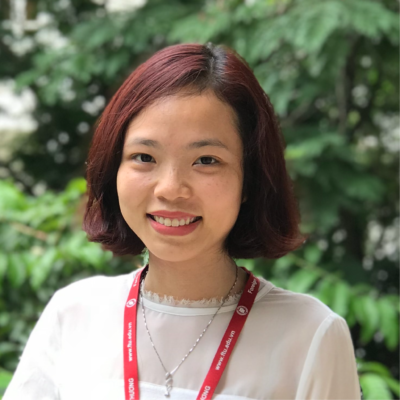 She has been involved in collaborative research project between FTU and Waseda University (Japan) as a Kaizen consultant for house holds and companies in Vietnam Trade Village to improve their productivity.